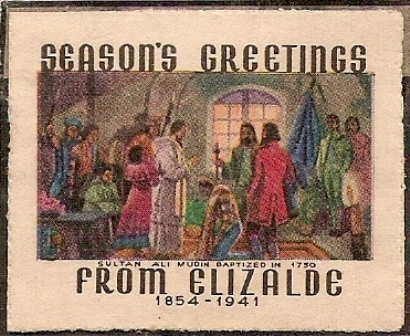 The following is an article originally published in The Philippines Postal Journal, Vol. 1 No. 1, September 1970. By virtue of Executive Order No. 94, dated October 4, 1947 the Stamp and Philatelic Divi­sion of the Bureau of Posts was formally organ­ized and on October 16, 1947, it began functioning with a handful of employees. 3) To promote philately or stamp collecting (a very enjoyable and fascinating hobby that enhances learning and keeps both the old and the young busy, thus lessening the chances for mischief). The first phase of the work requires technical skill and ingenuity in the arts to gain popular satisfaction; the second demands a rigid system­atization in routinary procedures to effect prompt delivery of stamps for public consumption; and the third needs ardor and eloquence in dealing with the public to promote philately. The Stamp and Philatelic Division is headed by the Postal Fiscal Service Chief, who is directly responsible to the Postmaster General in the ac­complishment of all its functions. Aiding the Postal Fiscal Service Chief is the Assistant Postal Fiscal Service Chief who is directly responsible to the former. The Division is composed of eight sections, each headed by a section chief. Each of these sec­tions has its own particular duties to perform, but all of them function in full coordination with one another to maintain an efficient postal service. The printing and the issuance of postage stamps and commemoratives get the first attention of the division. The work is not as simple as the public may presume. It requires time, effort and capital. The Stamp and Philatelic Division, with the approval of the Postmaster General, decides what stamps to issue and what designs to portray for particular occasions. Mostly these are commemo­ratives. Regular and special stamps, however, are issued at intervals. After the designs are ap­proved by the Postmaster General, particulars are prepared for public bidding among qualified printers. The lowest complying bidder is awarded the printing job. It takes almost a year to finish the printing, that is if the proofs submitted are readily approved. Otherwise another proof has to be submitted and printing is further delayed. The delivery of the finished stamps is made as stipulated in the contract. They are delivered to the Stamp Vault Committee chairmanned by the Division Chief, which takes the role of custodian of the entire stamp stock of the Bureau of Posts. 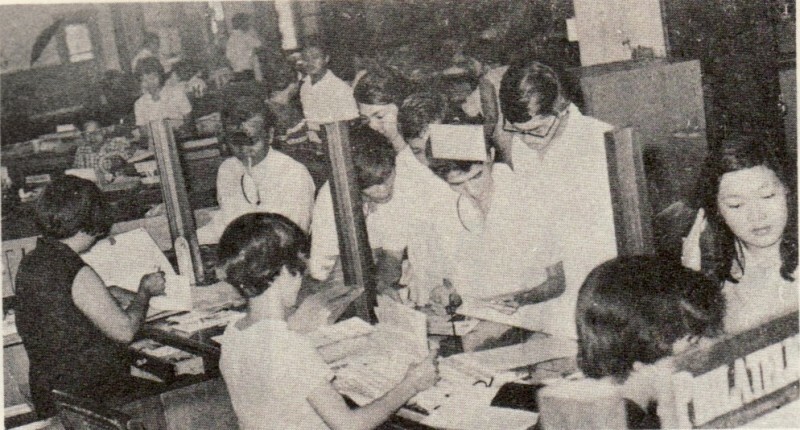 The distribution of stamps to all post offices throughout the country, numbering around 1,500, is done by the Stamp Depository and Issuing Section headed, by a supply officer III. Requisi­tions coming from all city and town postmasters are readily acted upon and the stamps are mailed to them, carefully packed. At times postage stamps are locally printed, overprinted, or surcharged in the Bureau of Printing. These are first submitted to the Revi­sion Section for revision. The good stamps are delivered back to the Stamp Depository and Is­suing Section for circulation while the damaged ones are destroyed by a Committee formed for this particular duty. Worthy of mention in the Stamp and Philatelic Division is the Stamp Tellers Section headed by a supervising postal teller. These tellers who di­rectly transact business with the public are very much exposed to complaints, much less, to ridi­cule. But it is through them that postage stamps are sold to city patrons. Their daily sales amount to more or less P35,000.00. Most significant among the functions of the Stamp and Philatelic Division is the promotion of philately or stamp collecting. It may be inter­esting to know the circumstances behind the creation of the Stamp and Philatelic Division. Before the advent of the Second World War, there had already been persistent clamors among local stamp collectors for the creation of a divi­sion in the Bureau of Posts to take charge of the sale of philatelic stamps, particularly commemo­rative issues. This ardent desire was further abetted by the economic crisis brought about by the Japanese occupation of the Islands when, in their financial difficulties, some hard-up collectors had to sell portions of their precious collections to keep body and soul together. Eventually, while more philatelists came into being, individual col­lections dwindled and these must be replenished. Through the efforts of these pioneers in the philatelic field, among whom were assemblymen and successful businessmen, the long-sought-for Executive Order was issued and the Stamp and Philatelic Division was finally created. 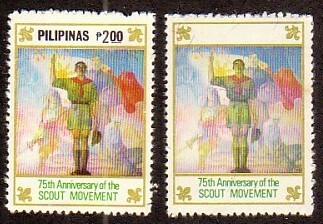 Thus, proceeds from regular sales of Philippines stamps began to swell. 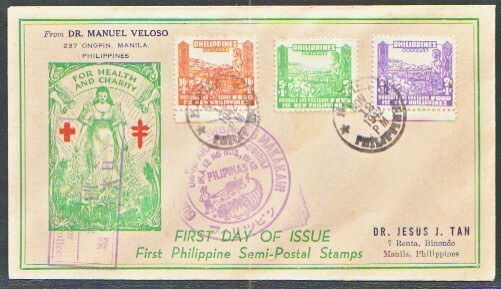 This was further pro­moted by the Division's publication of the now defunct Philippine Journal of Philately which not only increased to a hundred fold the number of local philatelists, through the organization of stamp clubs throughout the country, but also caused foreign stamp collectors to send their reg­ular orders for Philippine stamps. Their names are now permanent in the mailing list of foreign philatelists as regular patrons of Philippine phi­latelic stamps. At this time, with four philatelic tellers serv­ing from 8 a.m. to 5 p.m., Monday through Fri­day, the sale of philatelic stamps remains brisk, averaging around P4,000.00 daily. This amount rises whenever new stamps are issued. Local and foreign philatelists crowding at the tellers' windows, buying philatelic stamps which they have to add to their ever growing collec­tions, are a daily sight very inspiring to be­ginners. The philatelic counter, shown above, is located inside the Stamps and Philatelic Division. Manned by four philatelic stamp tellers, it caters exclusively to stamp collectors and does not sell stamps for postage purposes. Access to this counter is through Door 203 of the Post Office Building at Plaza Lawton, Manila. To those amateur stamp collectors, the Division always gives its full attention and service. All their queries are answered to their satisfaction; they are given pointers on how to begin the bob­by; they are supplied with all necessary philatelic guides, like lists of stamps still available, lists of stamps issued since 1946, and stamp bulletins on forthcoming issues. Once oriented, these enthu­siastic beginners start mounting their stamps in albums with all the eagerness of school children and very soon, they are seen frequenting the phi­latelic counters just like old philatelists. To keep these young and old philatelists ever animated in their hobby, the Division coordinates with stamp clubs in the holding of annual stamp exhibitions where prizes for the best entries in different categories are at stake. These beautiful exhibits, besides promoting philately and enter­taining visitors or casual viewers, further boost the sale of Philippine stamps. 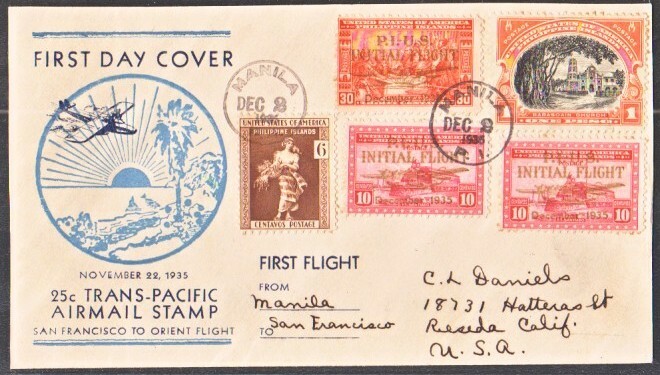 Provincial stamp collectors and other local or foreign philatelists who cannot come personally to make their orders for first day covers are not at all forgotten. They are served thru the mails. Weeks before the designated date for the is­suance of a stamp, stamp news and bulletins are issued by the Research and Statistical Section and mailed to them to give them ample time to mail their orders. Local mail orders up to 10 first day covers are filled without any service charge if sent before the date of cancellation. Mail orders from foreign collectors are filled on the first-come first-served basis. One big regret of the Division, however, is the lack of space in the building where the proposed Philatelic Library can be accommodated. No lib­rary is as yet available to the public. 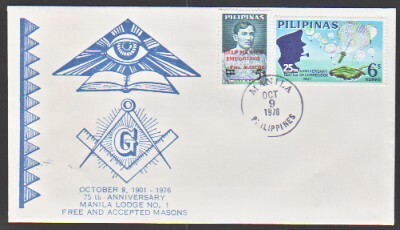 Hence, phi­latelic stamps, particularly those beautiful ones issued by countries that compose the Universal Postal Union, cannot be viewed by the public. 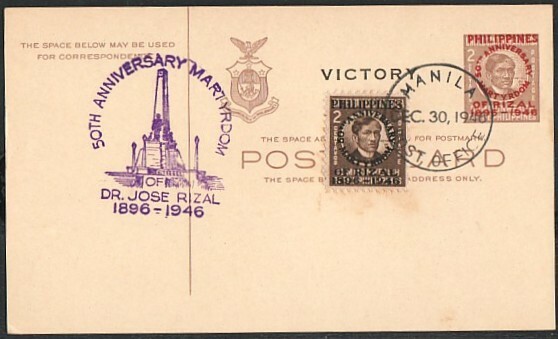 However, philatelists may read or refer to phila­telic materials upon request. This Division gives its grateful acknowledg­ment to Department of Public Works and Com­munications Secretary, Manuel B. Syquio for hav­ing approved its pet project: the preparation of stamp souvenir folders for sale to stamp col­lectors. 1) Souvenir stamp folders affixed with assorted, colorful stamps. 3) Souvenir stamp folders containing complete sets of stamps issued yearly from 1966 to 1969 (to be continued from year to year). From the initial phase of the project the Divi­sion has derived an additional income of P8,548.10 and from the second, P7,810.00. The sale is going on. Meanwhile other souvenir folders are being prepared.